PROGRAMME FOR SENSITIZATION OF WAREHOUSE/STORE MANAGEMENT COOPERATIVE MODEL. Kenya Cereal Enhancement Programme (KCEP) in partnership with the County Government of Nandi on Friday held a sensitization programme to commercial maize farmers from Chesumei and Mosop Sub-Counties on how to register and manage cooperative socities as well as operating and managing the warehouses/stores to be installed in the respective sub counties to help farmers address issues of post-harvest loses. 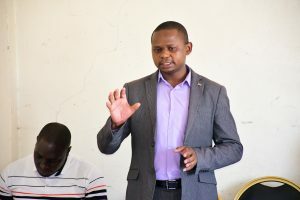 The County Government through its Cooperative Development department appreciate the good gesture by KCEP in expressing interest of partnering with county government in addressing some of the challenges faced by the commercial maize farmers in the county especially on the issue of post-harvest loses. 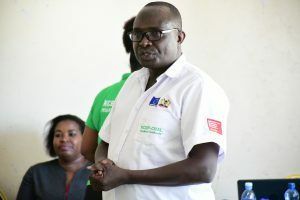 Speaking during the training, Chief Officer in charge of Agriculture Mr. Wilson Lelei lauded the strategies outlined by KCEP to set up warehouses for farmers to keep their cereal as they wait for prices to appreciate. 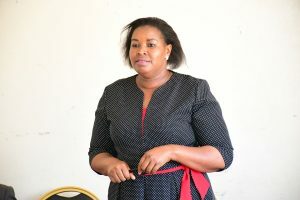 On her part, the Chief Officer Cooperative Development Dr. Bernadette Tiony reaffirmed government’s commitment to continuously and diligently train commercial maize farmers on matters cooperative governance, management, record keeping new trends among other good cooperative practices. 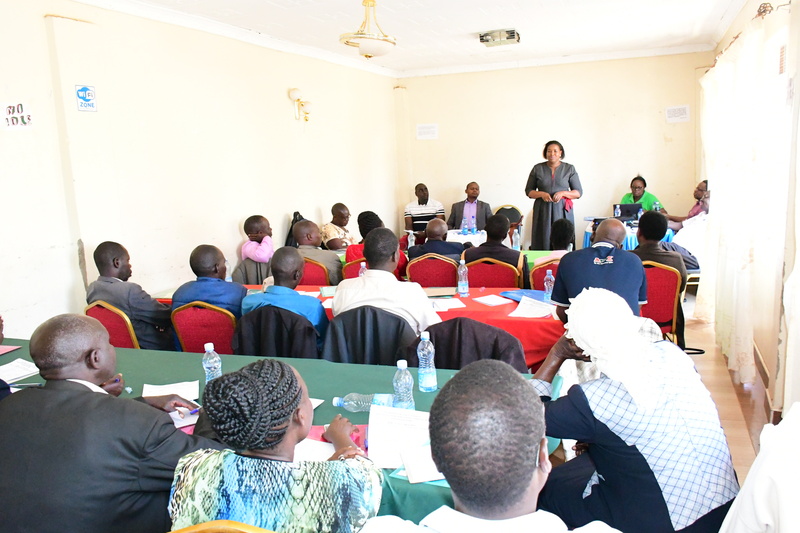 Dr. Tiony also revealed that the department is investing heavily on capacity building for cooperative leaders and impart the cooperative leadership with good managerial skills to ensure that the resources its members are in safe hands. KCEP is going to establish warehouses in strategic places within the two sub counties in the first phase and also provide 12 motorbikes that will boost extension services among the maize farmers in Mosop and Chesumei Sub-Counties.